Due east of Bellingham Washington stands majestic Mount Baker, one of the most beautiful and distinctive mountains of the northern Cascade mountain range that stretches from California to British Columbia, Canada. Mt. Baker's magnificent snowy white glacial peak remains covered in snow and ice year round. The pristine snow pack collected through the winter months slowly melts creating a flow through crystal clear streams to area rivers and lakes. The Mt. Baker snowmelt contributes not only to Bellingham's drinking water but the rest of Whatcom county as well and the cool, clear waters of area rivers are host to one of nature's most amazing spectacles-- The annual salmon run. Mount Baker has inspired countless paintings and artwork over the years as it continually dazzles onlookers throughout northwest Washington and Southern British Columbia. Residents of Vancouver and Victoria B.C. enjoy a delightful view of Mount Baker from a distance. Ironically, due to Bellingham's close proximity to the mountain, residents only get a small peek-a-boo view of the top of its peak over areal foothills. The Mount Baker Ski Area is host to the annual Ski To Sea festival, a seven-legged, 100-mile competition held each year. The race begins on the ski slopes of Mount Baker and includes outdoor activities Bellingham is famous for, cross country skiing, downhill skiing, running, cycling, canoeing, mountain biking and kayaking. The race also once included other activities such as mountaineering, horse back riding, fishing boat, and waterskiing. The race has also been shorted. Originally the Ski to Sea race ran from the city of Bellingham to the top of Mount Baker and back, however the race was cancelled when a runner fell into a crevasse. 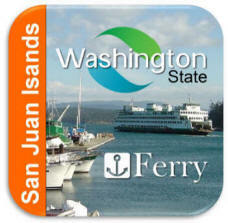 Today the race is from the ski slopes of Mount Baker down to Bellingham Bay covering 94 miles. The final leg of the race is the sea kayak where competitors hop in their kayak at Squalicum Harbor and paddle across Bellingham Bay to Marine Park in Bellingham's Fairhaven District, hop out and run up the shore to ring a bell at the finish line. 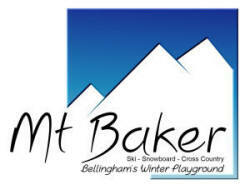 For more information call Mt.Baker Recreation (360) 734-6771. Mt. Baker holds the world record for measurable snow fall in one year during the 1998-1999 snowfall season. The state reported that over 1,140 inches fell. The snowfall measurement was taken daily on a flat surface. 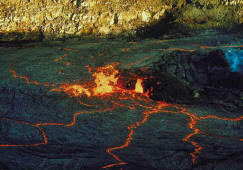 This claim was carefully scrutinized by experts from NOAA, The Western Regional Climate Center, The American Association of State Climatologists, and The National Climatic Data Center. Once verified this new record beat the old snowfall record by 18 inches. The previous record was set 1972 on the slopes of Mt. Rainer. Your savings begins right after you cross the US/Canadian border. 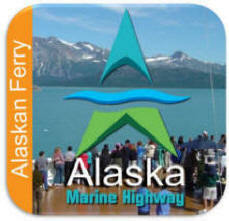 Pick up a FREE map and coupon book and you can save up to 25% or more in area stores, restaurants, and accommodations. Did You Know? The phrase "Flying Saucer" was first coined in 1947 just weeks before the famous Roswell incident when small plane pilot and businessman, Kenneth Arnold described nine disc objects flying over Mount Baker and then travelling at high speed to Mount Rainier before flying off into the distance. Read More. Bellingham Is Known For Being An Outdoor Lover's Dream Destination and having something for everyone with just about every kind of outdoor activity you could imagine. 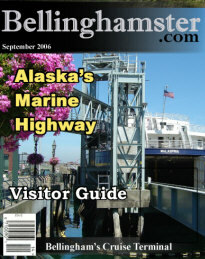 Bellingham is also home to the southern terminus of the Alaskan Marine Highway Ferry System offering car and passenger service north to Alaska. If you're looking for some winter fun in the snow, the Mount Baker Ski Area has it all, in fact it holds the world record for the average annual snowfall of any resort in the world - over 53 Feet of snow! It also holds the record for the most snowfall ever measured in the USA - 93.5 feet. Tackle Mount Baker's intermediate or more challenging runs with colorful names like Chicken Ridge, Pan Face, and The Chute. If the Mount Baker Ski Area looks somehow familiar its because it has often been featured snowboard and ski films. Bellingham Washington got its name when George Vancouver landed on the shores of Bellingham Bay in 1792 and named the area after his friend Sir William Bellingham, a bookkeeper in the English Navy. The Bellingham area was first settled in 1852 as Whatcom and later merged with three adjoining cities including Fairhaven to become modern day Bellingham in 1903. Bellingham is often ranked amongst the finest cities to live in the US in many major national publications due to its quality of life and almost unlimited outdoor recreational opportunities. Bellingham is also notable for having more drive-through outlets than any other place in the country.